Last week I was shopping at a local arts and crafts store. My daughter was busy picking various ribbon for several hair bows she designed and planned to make. My advice was clearly not helping her so I walked off in search of some inspiration. There were the beginner books on drawing … sorry, already have several of those at home. None help. There were the plastic models, maybe I could build a model of the Titanic or some World War II era plane. Nope, same as drawing, not enough patience. I turned another corner in the store and there it was, Crayola Crayons. I found my inspiration indeed. Crayons were such a part of my childhood – drawing all the time, consuming coloring books or drawing monsters. That was then. Clearly I have no need for crayons today … right?! In some ways the only difference between my childhood and my adult years is my bank account. Not the traditional set of 64; nope I went for the deluxe set with over 100 crayons all in a special spinning case. My office conference table has found its centerpiece. Now if folks forget a pen for a meeting, they are set. If one needs to highlight something, well I have a set of the original highlighters. Just pick a color. So with bundles of ribbon and a very large set of crayons in hand, we proceeded to the checkout, my decision made. It was a bit awkward when the check out person mentioned the crayon set and wished my daughter well with them. I could have corrected her, but what would I say? I also picked up several scratch pads to go along with the crayons. We are talking “peas and carrots” folks. One goes with the other. Once back at work I had second thoughts – really, a grown man with crayons in his office. No worries. Once people saw the crayons the mixture of delight, nostalgia and silliness began. People just like to hold crayons let alone use them. My cool new conference table centerpiece is here to stay. All this reminded me of the book All I Really Need to Know I learned in Kindergarten, by Robert Fulghum. This book is a collection of essays and was a bestseller over 20 years ago. He writes of the delight, nostalgia and silliness of crayons and the power they hold over people. What does this all have to do with workplace effectiveness? Go out and buy yourself a set of crayons and discover for yourself. WeMoveTogether in color, lots of color. Do they still have that distinctive smell? That above else is what can take you back in time to a particular moment. Yep, the smell is there. It is so true on the connection of smell and memory. All in good fun. Thanks for reading – Michael H.
What a great idea! 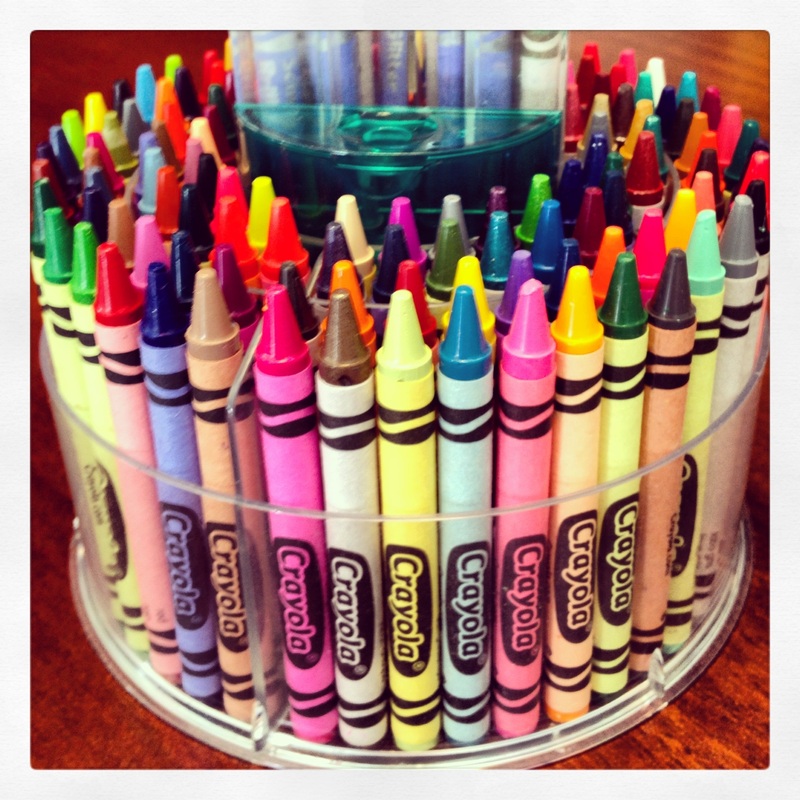 The sight of crayons in the board room should calm the nerves and pick up the spirits…….beginning the meeting with a smile. Great find ….. Thanks for the visit and comment. Yes, crayons in the board room = awesome. We can be serious and creative at the same time. Calming nerves and picking up spirits is the thought of the day. Sure thing. All the best! uncanny feeling I discovered just what I needed. I such a lot undoubtedly will make certain to don?t overlook this site and give it a glance regularly. I have read several excellent stufff here. Definitely price bookmarking for revisiting. Je peսx dirе que ce n’est nullement inexact ..